A sketch is a quick drawing that shows interesting features of something observed. Drawing, on the other hand, usually refers to a more careful process that includes greater attention to detail. All drawing involves skills, techniques, and tools that are basic to the visual arts, but making sketches or drawings from observation is not necessarily an artistic process. It can also be used to represent data gathered during a study or an investigation. Preschoolers are often more comfortable than adults are with representing ideas through drawing. However, young children are likely to have more experience drawing “from imagination” or memory rather than drawing what they see around them. For a preschooler, learning to “draw what you see” can provide important tools for communication, understanding, and documentation. It can be especially useful to those who have not yet learned to write. Sketching and drawing from observation can be key aspects of fieldwork during a project. Sharing and discussing their own and classmates’ drawings with one another and the teacher may enhance children’s understandings of the topics they are investigating. Sketches and drawings can also become the basis for more complex representations in other media. For the teacher who uses the Project Approach but must submit lesson plans, sketching and drawing provide a number of pretexts for lesson planning. It’s a good idea to give children some practice in sketching and drawing from observation before they start their project fieldwork. Because most preschoolers are not yet able to write, their field sketches and drawings will be an important way for them to document and share their observations. There is no single “right” way to introduce sketching and drawing from observation. Some teachers like to start by demonstrating exactly what is meant by the term “sketch.” They believe that if the teacher shows them how to sketch, children are likely to better understand what is involved in the process. Other teachers start by setting up the classroom so that, after a few simple directions, the children can begin sketching right away. In other classrooms where children are familiar with drawing, a teacher might simply invite children to join her in drawing an object from observation; she sketches along with them and comments on her own process as she works. This lesson planning aid takes the second approach: the teacher sets out objects, provides basic directions, and lets the children sketch. When working with 3- and 4-year-olds, it may be best to introduce sketching to small groups of children at a time. For the first sketches, teachers can provide objects that are related to the topic. The objects should have some interesting details but not be very small, very large, or complex. Simple tools, classroom equipment, fruits or vegetables, seeds, leaves, and parts of machines or other large objects are popular choices. Teachers will want to give children a chance to select which objects they would like to draw. It’s best not to use live animals; their movements make sketching difficult. When planning for the lessons and activities mentioned in this lesson planning aid, teachers should keep in mind that the tools and materials that they provide can affect children’s experiences. Teachers often comment that newsprint paper may be too fragile for use during fieldwork. They also report that offering brightly colored markers or crayons may distract children from focusing on details other than color. Black or dark blue fine-point markers or sturdy soft-lead pencils are preferred over crayons or colorful markers. Select objects and set them on tables so that the children can sketch in small groups, without crowding. Explain to the children that sketching is one way to show what they notice about an object: its shape, the textures on it, the sizes of its parts, how many parts it has, its location relative to nearby objects, etc. When people sketch what they observe, they draw only what they see, rather than things that they remember or imagine. Tell the children that a sketch is a quick drawing. People sketch when they want to record information (data) quickly. 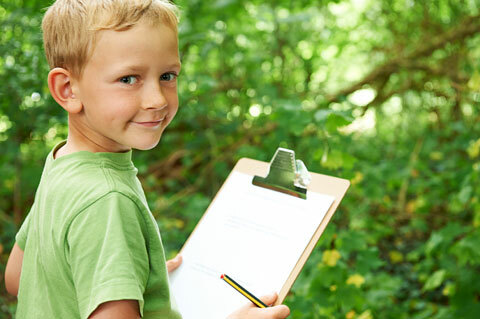 Give each child a clipboard with a piece of paper and a soft-lead pencil or fine-point blue or black marker. Invite the children to sketch the object. Let children position themselves around the table so that each child will be sketching the object from a different viewpoint. It may be helpful to some children to be able to touch and feel the texture or contours of the object. Give the children a few minutes to sketch. They may need even less time to finish those first sketches! When they finish, talk about the sketches. Ask them to comment on their own sketches. Encourage them to notice differences among sketches of the various sides of the same object. What do they notice about the sketches made from two different viewpoints? Consider displaying some of these early sketches, along with the children’s dictated descriptions. You may find that some young children worry about “not being a good artist.” If it seems that a child is worried about his or her drawing ability, you can make clear that a sketch is not supposed to be beautiful or perfect. The job of a sketch is to “tell” as much as possible about what the person has drawn. Figure 1. Preschoolers sketch from observation during a site visit. Consider sketching along with the children every day. Make sketching and drawing from observation an option during choice time. Set up a table with drawing materials and objects related to the project for the children to examine, draw, and sketch. Suggest that they try out a variety of drawing media (marker, pencil, charcoal, pen, black crayon) and compare how those tools work. Encourage children to sign their names on their drawings. Show children how scientists and others may label parts of a drawing, and encourage them to label the parts of objects in their drawings. See Figure 2, for example. Begin to introduce terms such as observe, freehand, trace, locate, point of view or viewpoint, line, shape, space, and texture. Figure 2. A 4-year-old has labeled drawings of a ladybug, ladybug eggs, a larva, and a pupa. She has also arranged them to show the ladybug’s life cycle. When the children have some experience sketching, you may want to plan a lesson focused on drawing carefully from observation. As with the sketching, several approaches to the initial lesson are possible. For example, you might set up a table and materials as with the sketching activity, with room for a small group of children around an object related to the project. Tell the children that people draw slowly and carefully when they want to show as much information (data) as possible about objects they are drawing. After giving them several minutes to draw, invite the children to show their drawings, and ask for comments. Activities related to sketching and drawing can be ideal bases for lesson planning during any phase of a project. During Phase 1, lesson plans might involve giving children opportunities to sketch or draw items that you have brought in to spark initial interest in the project topic. It’s a good idea to encourage them to handle the objects so they can become familiar with textures, patterns, and other details before trying to sketch or draw them. You might plan a simple lesson in which you introduce magnifying tools and invite the children to sketch what they see through a magnifier. Teachers in Project Approach classrooms report that their classes use sketching most often when on site visits during Phase 2 of the project. The teachers note that the children are motivated to sketch in the field by knowing that what they draw will help them in future discussions and will enable them to answer some of their questions related to the project. Sketching or drawing during fieldwork can be a basis for lesson planning. You may want to keep in mind that on a site visit, children may feel overwhelmed by trying to include all parts of complex or unfamiliar objects in their sketches. They may have trouble focusing on details if there are many distractions (for example, loud noises). It’s a good idea to take them back for a second visit if possible. Some teachers will videotape a site visit so children can watch it later, pausing the video as needed to finish their sketches and drawings. Figure 3. Children talk with an expert, a piano tuner, during a site visit. Figure 4. This boy has sketched the interior of the piano. “Revisiting” to sketch or draw an object a second time can also be the basis for lesson planning. Invite children to sketch and draw the same objects several times—perhaps over a period of several days. “Time 1,” “Time 2,” and “Time 3” (T1, T2, T3) drawings can show the child’s growing awareness of an object’s features. Encourage children to examine their own T1, T2, and T3 drawings and note how their representations change. Figures 5a-c. These Time-1, Time-2, and Time-3 observational sketches show a preschool child’s growing awareness of detail in the tree. Note that her placement of the limbs and leaves becomes increasingly detailed and accurate. Children might also photograph something they are studying and then draw it from the photograph. This approach can be especially helpful if they want to draw moving parts or live animals. Children’s dictations about their sketches or drawings might provide a focus for a teacher-initiated language arts experience during Phase 2. Figure 6. A 4-year-old has made an observational drawing in color of a ladybug and has dictated comments about it to the teacher. The resulting text can be added to a display of sketches and drawings. Lesson planning during Phase 2 might include showing children how to use sketches and drawings to report to others about what a small group has found out during a site visit. You might also plan to have children arrange drawings in sequence to show changes in things they have drawn (for example, changes in trees during spring). Children’s sketches and drawings can also provide a focus for teacher-initiated math experiences. For example, children can refer to their drawings to count how many of various parts an object has (for example, how many lug nuts are on a truck tire or how many lobes on a leaf). They might also make comparisons of quantities or sizes (for example, the number or size of lug nuts on a truck tire compared to those on a car tire). In Phase 3, children can use their drawings as the basis for 2- and 3-dimensional representations of what they have done and learned. For example, Figure 7 shows a preschool-age boy visiting an outdoor sculpture to sketch it. Figure 8 shows the same boy creating a 3-dimensional model of the sculpture; he has used the drawing as a guide. Figure 7. A boy examines a large outdoor sculpture for details to include in his field drawing. Figure 8. After he returns to school, he uses “boxes and junk” to create a model of the sculpture based on his drawing. You might want to photocopy a child’s sketch onto a transparency sheet or scan it into a computer and then project the image on the wall so the child can trace it to make a very large version of the original drawing. This activity allows children to elaborate on their original drawings, adding color with paint or crayons. Another Phase 3 activity that can support lesson planning is “adding to” drawings. Photocopy a child’s drawing and invite him or her to “add to” this copy with crayons, paints, or color pencils. A later lesson could focus on creating a display of the original drawings and the “added-to” versions. Figure 9. A child has added watercolor paint to a photocopy of his self-portrait made at the beginning of the school year. Figure 10. This is a significantly more detailed self-portrait made by the same child 6 months later. The process of making a book of the children’s drawings and sketches may also provide opportunities for lesson planning to address benchmarks in language arts and visual arts. Other very good suggestions for such activities can be found in books from Reggio Emilia, such as Theater Curtain, Reggio Tutta: A Guide to the City by the Children, and Making Learning Visible. Children’s drawings can provide data that teachers can use to plan the next steps for the class and for individuals. For example, in Figure 11, a 3-year-old’s drawing and dictation indicate that he has some knowledge of ladybug body structure (that is, they have antennae.) He seems to misunderstand what antennae do, however; he states that ladybugs “have antennae to eat.” The teacher might want to arrange experiences that will help all the children understand the purpose of the ladybug’s antennae. Figure 11. A 3-year-old has drawn a ladybug and dictated a sentence that shows a mistaken idea about the insect’s antennae. What a child does during planned class discussions about the drawings can provide a window on his or her ability to move from nonverbal to verbal expression (that is, from drawing to talking about the drawing). A series of sketches or drawings can show changes in a child’s fine motor control or awareness of detail. Teachers who collect children’s Time 1, Time 2, and Time 3 drawings have a ready source of evidence of changes in a child’s understandings of an object or situation over time. The sketches and drawings can also provide evidence of children’s misunderstandings, which can be addressed with future teacher-initiated activities. Figure 12. By drawing a ladybug and its eggs, and by dictating two sentences that explain the drawing, a 4-year-old addresses several Illinois Early Learning and Development Benchmarks. Teacher-planned observational sketching and drawing activities can easily include children with special needs. Regardless of a child’s ability to focus on a task or to hold a pencil, the “artistic” quality of a finished sketch is not as important as the child’s process of noticing and recording. Children who have difficulty with motor control may be able to make field sketches and drawings using the same kinds of assistive or adaptive technology that enables them to write. Use of clipboards usually makes these activities accessible for students with wheelchairs. Some students with walkers or with certain motor control disabilities may work better at a table or while sitting down, instead of using clipboards, however. Children who are easily frustrated—including some typically developing children—may benefit from teacher-planned opportunities to trace objects shown in a photograph before trying to draw them freehand. Children who find it difficult to focus on an activity may be able to participate fully in planned sketching and drawing activities because they can successfully record data in their sketches in a relatively short time. The feedback that they get during conversations with peers about their drawings may also help them to focus longer the next time that they draw. Children who find expressive language challenging may be able to use drawings to express complex ideas and observations more easily than they can with words. The teacher can plan ways for children who are not fluent in English to use drawings to record observations and express complex ideas. The children and their classmates can then use the drawings as the basis for conversation. Drawings and sketches help the teacher and classmates to see what the child has noticed or thought about. They also provide contexts for the teacher to provide appropriate vocabulary. In dual language classrooms, conversation about drawings can take place in both languages, helping all the children gain vocabulary and skills in their target languages. Illinois teachers of young children are often asked to include state benchmarks in their lesson planning. The chart below suggests benchmarks that are frequently met through observational sketching and drawing activities in preschool. Other benchmarks may also be addressed. a child draws only what he sees (following the teacher’s instructions). a child begins to draw and stops drawing on the teacher’s signal. a child discusses sketches or drawings with others. a child labels parts of the sketched/drawn object, independently or with help. a child uses pencils, markers, paper, clipboards, etc., when drawing or sketching. a child includes details that make a sketch or drawing recognizable to others. a child dictates information about the sketch or drawing to the teacher. a child uses a sketch or drawing to explain something about an object he observed. a child shares the drawing with others or refers to it when discussing the project topic. a child uses her drawing to present factual information to classmates or to record data for future reference. a child represents an object accurately showing a specific number of parts, such as lug nuts on a wheel. a child’s drawing depicts objects more or less “to scale” in terms of size, location, etc. a child describes parts of her drawing using comparative words (“I made the back tire bigger than the front tire”). a child’s sketch shows correct location of parts of the object being drawn (a door knob is drawn on one side of a door, not at the top or in the middle). a child puts his “Time 1, Time2, Time 3” drawings in order. a child uses sketching as a way to record data about a topic. a child shares a sketch or drawing to help answer a question during a discussion. a child represents something she has seen or observed in a sketch showing key details. a child participates in discussion with classmates about information conveyed by their drawings. a child helps organize sketches and drawings into a book. a child applies information from drawings to other work such as models or murals. a child closely examines objects during the sketching/drawing process to address questions related to the project. a child draws what she sees in order to find answers to questions related to a project topic. a child notes similarities and differences between the details of his/her drawing and classmates’ drawings of the same item (“Kaya drew more leaves on the tree than I did”). a child makes an observational sketch or drawing of a plant or an animal. a child revisits something she has drawn, showing how it changes over time. a child discusses Time 1, Time 2, Time 3 drawings, noting changes in what he has included. a child makes an observational sketch or drawing of an inanimate object. a child uses sketching or drawing to depict machines, tools, and other aspects of the built environment. a child makes an observational sketch of a rock, a landform, a body of water, a cloud, etc. a child begins to learn the differences among drawing tools (e.g., markers make thicker lines than pens or pencils do). a child uses a sketch or drawing as a memory aid when reporting to the class about her fieldwork. a child coordinates movements of his hand with his observations of an object as he sketches. a child is able to manipulate a drawing instrument so that she can sketch something she observes. 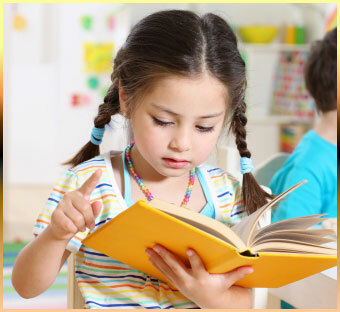 a child positions herself comfortably and employs eye-hand coordination in order to draw an object. a child uses the drawing tools safely. a child, while drawing, pays attention to safety information provided by adults (“The light bulb you’re drawing is hot, so don’t touch it”). a child learns and uses representational drawing skills that are basic to visual arts. a child encounters and uses drawing tools (pencil, marker, eraser) that are the basic tools of the visual arts. a child adds color or other details to a copy of an earlier drawing. a child uses his own or classmates’ drawings as the pattern for creating a model, mural, or other expanded representation. a child uses her drawing to convey information to classmates or a teacher, in English or her home language. a child explains aspects of a drawing in ways that others can understand. a child listens and responds to comments of classmates or others about his drawing. a child asks questions or makes constructive comments about classmates’ drawings. a child carefully uses the drawing materials for their intended purpose. a child collaborates with classmates and teacher to create an informative display that incorporates drawings and sketches. a child closely and carefully observes objects as she sketches and draws them. a child enthusiastically discusses his and classmates’ drawings. a child figures out ways to represent complex objects with lines on paper. a child completes a sketch or drawing and explains it to a peer or adult. a child revisits something he has drawn and draws it again. a child adds details, such as color, to a copy of her drawing. a child participates in discussion with classmates about sketches and drawings they have made during fieldwork. children take turns reporting to the class about what they observed and drew during their fieldwork. Make decisions about what to emphasize and include in a drawing. Consider which aspects of an object are most important to include. Become skilled observers, finding out more about the objects or living things they draw. Have opportunities to notice multiple perspectives on a single object. Become familiar with the importance of using multiple forms of representation (e.g., both words and drawings) to express ideas. Are able to self-correct as they check their own accuracy. Have opportunities to explain their own thinking (for example, a child might say, “I didn’t draw the turtle’s head because I couldn’t see it.”). Hone oral language skills in communication with peers and adults about the objects being drawn and about the sketches or drawings themselves. Listen to and make meaning of classmates’ questions and comments about their drawings. Analyze their own thoughts and experiences to formulate responses to classmates’ comments and questions. Have access to the great variety of classmates’ perspectives on an object or topic. Coordinate the use of writing or other symbols to label their drawings or sign their names. Think critically about what they might do to make a particular drawing better express what they observed. Use drawings as a basis for other work (e.g., when they augment copies of their drawings with color and additional details not in their originals). Engage their family members in drawing/sketching activities along with them. Teachers or students who are learning to prepare lesson plans may find it helpful to mention some of the above benefits of involving a class in sketching and drawing from observation.